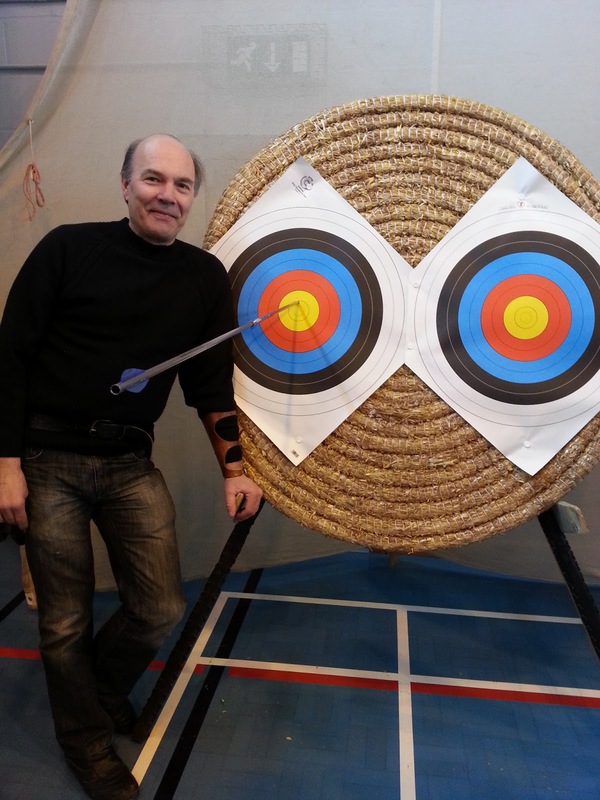 How Archery Handicaps Work - maybe! The Indoor Archery Season Begins - Scary? I started archery with the 2010 intake. I was excited at the thought of doing it, and for the whole week before the evening class, I had that lovely jumpy feeling of excitement in my tummy. My fellow learner shooting buddy, Marcus, was the same. We'd be standing around waiting for the session to start like a couple of school kids on an outing! I still have that feeling now. After every session, I'm already excited about the next one. I watch the weather to see if the next planned shoot will be wet or dry, windy or sunny. If there's going to be a match, I hope it won't be cancelled by bad weather - we stalwarts will shoot in anything - even storms. So, what happens when we go indoors? To be honest, I'm still excited. OK, so it will only be at most twice a week - Friday evenings and every other Sunday afternoon - but it's still shooting and still good fun even if we can't stay for 3 or 4 hours and have to bring our own tea/coffee. What happens that's the same and what's different? 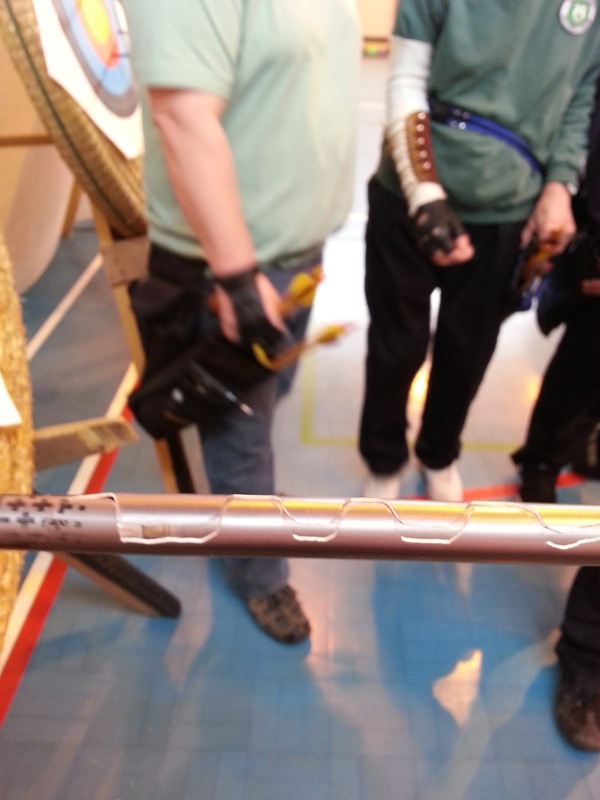 We shoot at Tideway school in Newhaven, in a sports hall. All of the equipment that we need is moved over by some club members and stored in a shed behind the hall. We use slightly different stands as they cannot be pegged down into the ground, they have a T-bar arrangement; the bosses are the same. Every item needs to be carried or rolled from the shed to the hall, which is only a short distance, and when everyone does their part, it really doesn't take very long to set up/take down the targets. (Which is why members need to arrive early and only leave once everything has been put away.) Once a round has been shot, if anyone wants to leave they must take down their target as some folk will stay on a bit longer. The hall itself is about 22 yards long (I'll try and measure it next time I'm there), so there's not a lot of room at each end. A row of about 8 targets is set up and our special netting is hung behind them about a foot away from the wall. At the other end, there's just about room for us all to place our bows and have a chair if required. As a club we take part in the Portsmouth postal competition every month when the best 4 archers from each bow style are put forward into a team. I can't quite recall if these are chosen by best score over any bowstyle, so will correct this once I've found out. The most obvious difference to new people is shooting in close proximity to one another. We all get used to having lots of space at the field, but side-loading your arrows is not possible indoors! We must all be mindful of each other when we are so close. Then there's the 2 target faces per boss. Side-by-side. Your can choose which side you would like to shoot and that's where you stay for the evening. There's a target chart where you put your name and at the end of the evening write in your score. That goes off to the RO for logging. Over time you will build up your classification and eventually be presented with a badge for your best achievement. I will add more here soon (and correct any typos) - but for now, suffice it to say that indoor shooting is you, your bow, and your arrows. No wind to affect them, no sun in your eyes, no moving targets forward halfway through. It's a great opportunity to try and perfect your style and there are lots of indoor competitions run all over the place for you to join in. I know I'm going to do more of them this coming indoor season. I love indoors as much as I do outdoors. It's different. And I will explain a bit more next time. What is A Robin Hood in archery? I was fortunate to be field captain at our NAC Championships today. We had just started shooting our sighters and on his second arrow, Terry Skinner produced this very long arrow. His second shot had gone straight into the end of his first arrow and penetrated about 8 inches. Very expensive! Looking forward to going back outside though. Follow Lynda Hill's board Archery Aims on Pinterest. Beginners CAN Win the Burntwood Trophy! 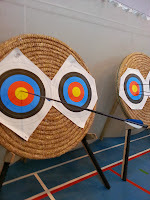 Olympics 2012 Archery Tickets - All gone! Poor Turnout to Start of Our Indoor Season! © Lynda Hill 2011. Using:. Picture Window theme. Powered by Blogger.